Ambassador Huntsman, you work for a pawn, not a president. It’s time to come home. There is no other reasonable course of action to take after Monday’s disgraceful joint news conference with President Donald Trump and Russian President Vladimir Putin. Was his denial stronger and more powerful than the unanimous assessment of the entire U.S. intelligence community — the CIA, the FBI, the National Security Agency, the director of national intelligence — as well as the Senate Intelligence Committee, which all agree Russia meddled in the elections?? Those indictments are among more than 100 charges that have been filed stemming from special counsel Robert Mueller’s investigation. No rational person can seriously question Russian involvement. The only question now is how deep did the infiltration spread? But Trump is not a rational person. Rather than seeking the truth of the matter, he discredits the investigation as a “witch hunt” and has repeatedly publicly disparaged the probe. Nor is Putin a rational person. He has butchered innocent people in Syria, fought a bloody war in Crimea and carried out assassinations in sovereign nations. And all our president can muster is a shrug before he licks Putin’s blood-soaked boot. Senate Foreign Relations Chairman Bob Corker, R-Tenn., said Putin “gained a tremendous amount” from Trump’s validation. “I would guess he’s having caviar right now,” Corker said. “I would never thought I would see the day when our American president would stand on the stage with the Russian president and place blame on the United States for Russian aggression,” said Sen. Jeff Flake, R-Ariz.
Sen. Lindsey Graham, R-S.C., said the soccer ball Putin gave to Trump should be checked for listening devices and never allowed in the White House. The only flaw is that Graham assumes Trump wouldn’t share classified information with the Russians. After all, he did it last year when he revealed the source of code-word-level intelligence on the Islamic State group. “No negotiation is worth throwing your own people and country under the bus,” your daughter, Abby, tweeted after the debacle. Ambassador Huntsman, you have two sons who wear the uniform of the U.S. Navy. How is it possible to entrust their future to such a cowardly, misguided commander in chief who has demonstrated time and again a fundamental disregard for U.S. security and our moral authority internationally? This has to be the last straw. To remain silent and continue to serve this president would be complicity in the undoing of our nation and its status as a world leader. 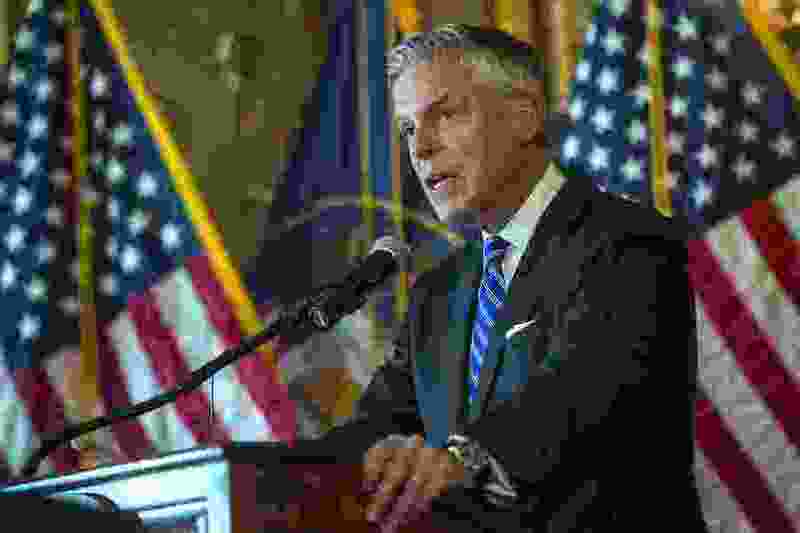 Editor’s note • Ambassador Jon Huntsman is a brother of Paul Huntsman, the owner and publisher of The Salt Lake Tribune.